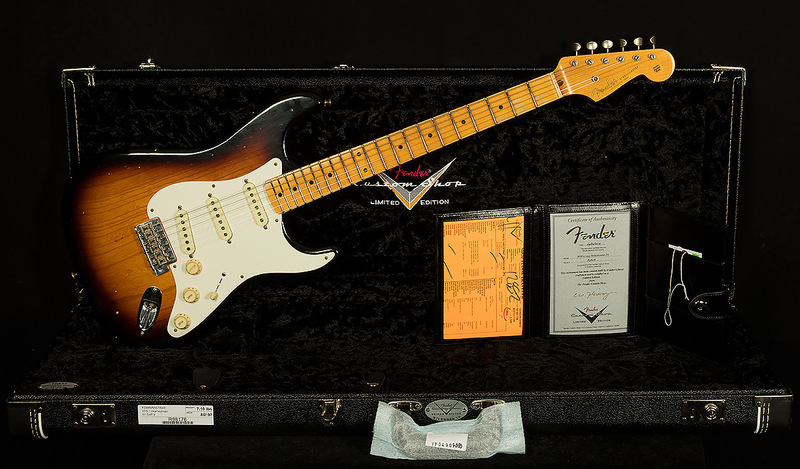 Two-tone sunburst is a classic finish, and this '55 Stratocaster has sounds that match the paint job. 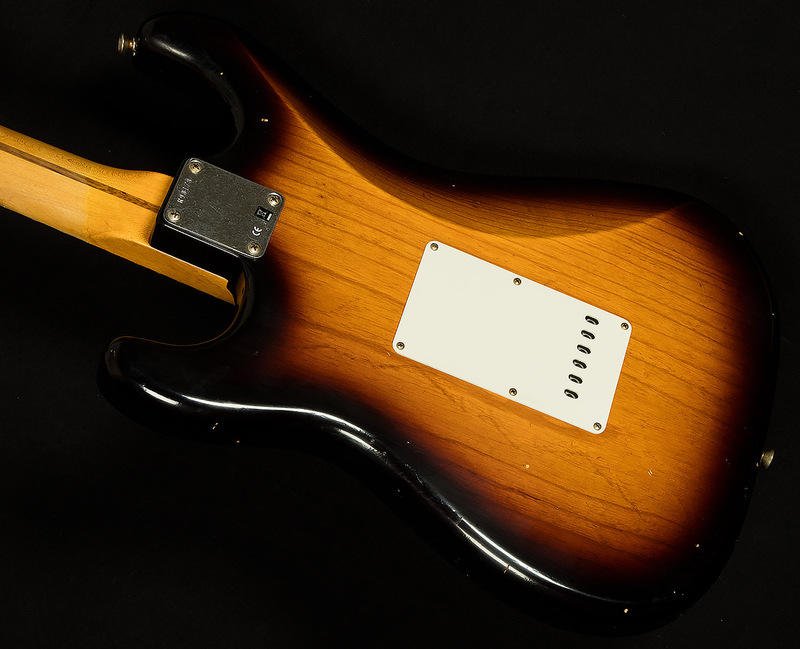 The neck pickup is warm and rich, the middle pickup is muscular and well-defined with chiming highs, and the bridge pickup can spank or jangle with the best of 'em depending on how hard you hit. 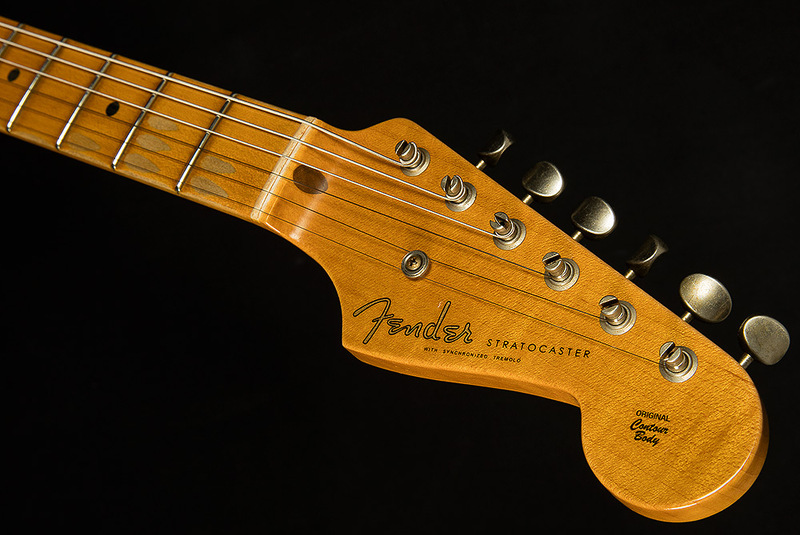 Add in a round articulate attack that goes thoonk and it all adds up to the picture of iconic Stratocaster sound. 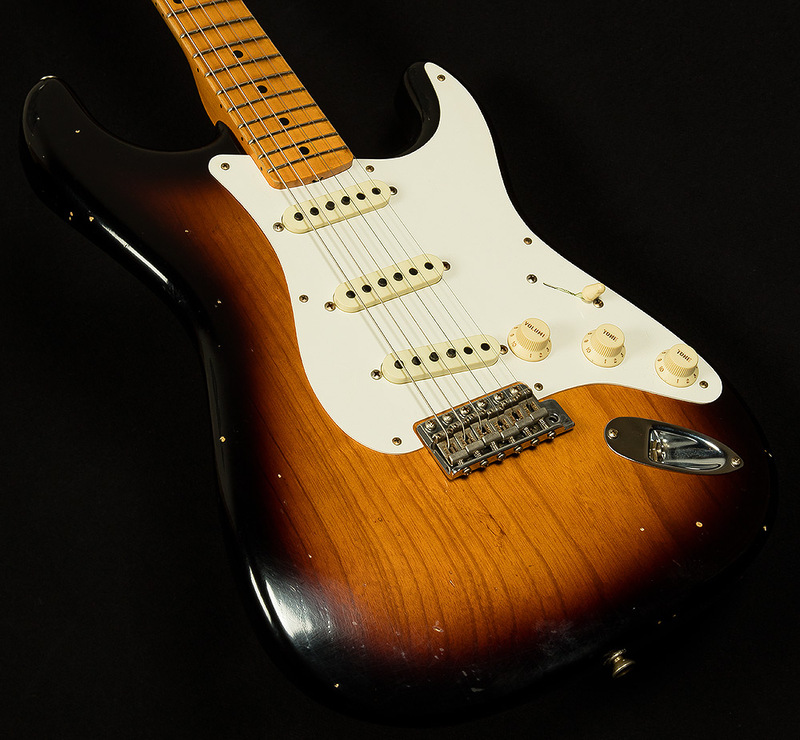 Anyone looking for a monster Strat will dig this serial! The latest in our long, illustrious line of killer Wildwood 10's have arrived. These sonic sledgehammers have a monster tone and killer vibe. 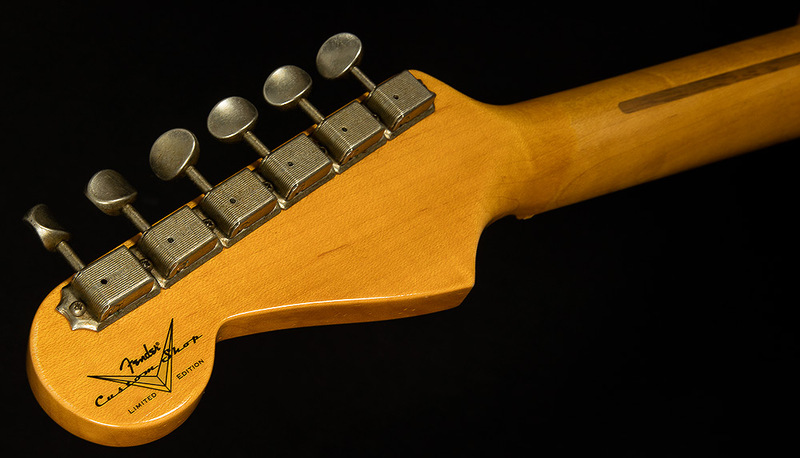 If you've ever dreamed of an instrument that has the soul of a vintage piece and the ergonomics of a modern guitar, your dream has come true! They are only available at Wildwood Guitars, and we are mighty proud to offer these creations to our exceptional customers. As Greg Koch often says when demonstrating these delectable morsels of tonal savagery, "Come and feast!"